The Experimental Music Unit (EMU) is an ensemble of LaSaM Music. EMU formed in 2012, engaging in a regular exploratory music and sound art improvisation practice that informed its projects and LaSaM’s artistic direction from 2012 through 2016. 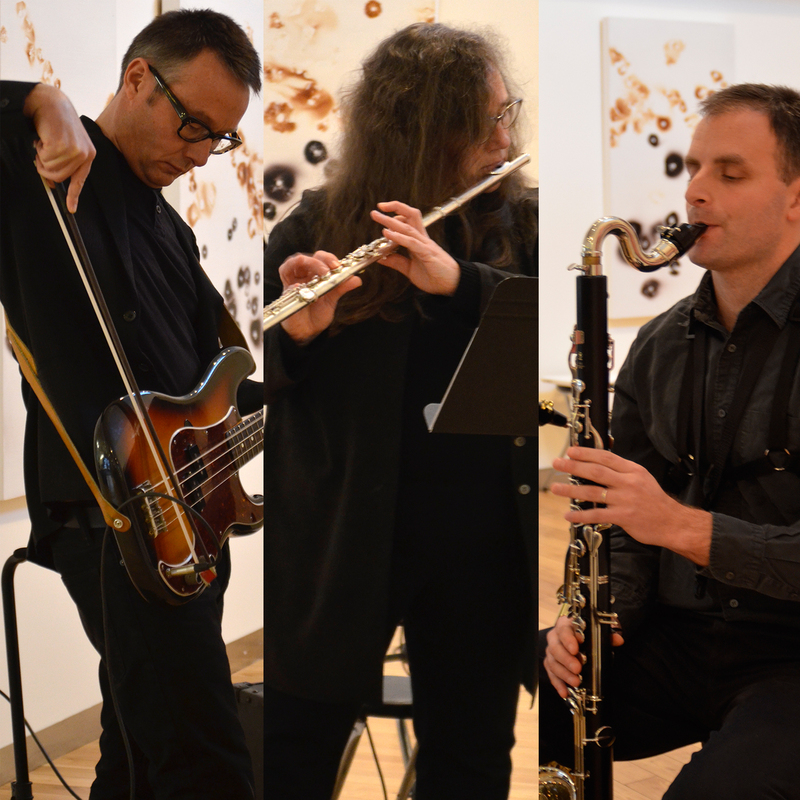 The Experimental Music Unit’s inaugural project, Music for Mycologists, was premiered in Victoria at the Legacy Art Gallery in 2013. It was also presented at the Surrey Art Gallery (2014) and at Victoria’s Open Space in 2015. The Music For Mycologists CD was released in 2015, produced by EMU and Kirk McNally at the University of Victoria. EMU also was the core ensemble for LaSaM’s Dark Listening project, and was involved in Paul Walde and Tina Pearson’s large scale project, Music for Natural History, also produced by LaSaM. EMU also collaborated with the artist Camille Norment (USA-Norway) in Songs For Glass Island (2015-2016) which was produced at the Art Gallery of Greater Victoria and the Contemporary Art Gallery of Vancouver in 2016.